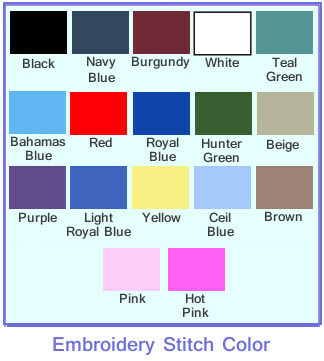 Embroidery will consist of both upper and lower case lettering. The upper case letters are approximately 1/2" tall and the lower case letters are approximately 3/8" tall. 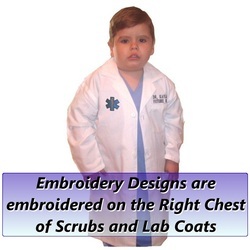 Personalized Doctor Costumes are embroidered on the left chest above the pocket. 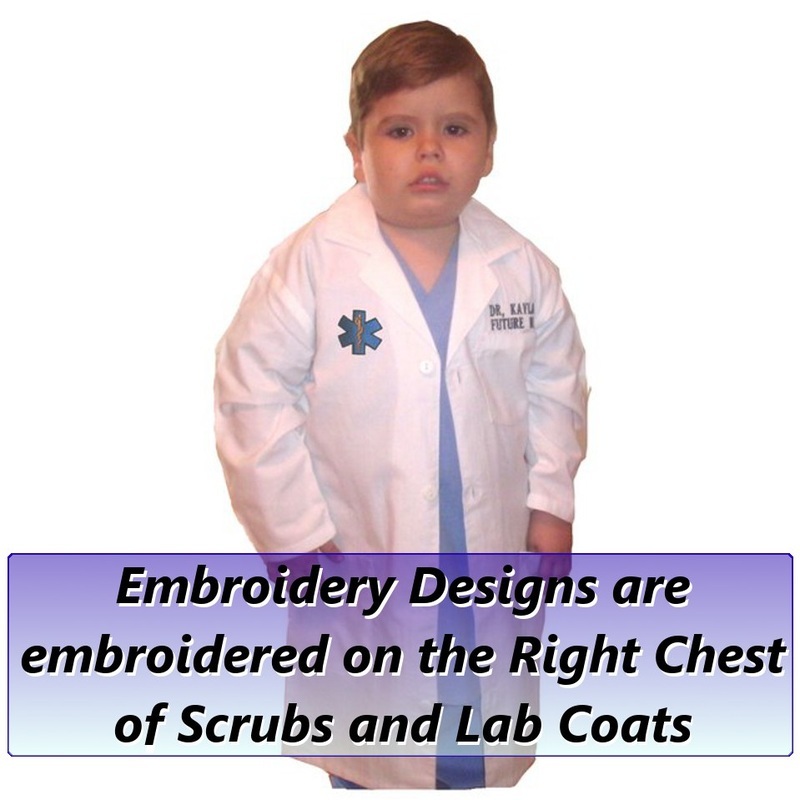 Embroidered or altered items are non-refundable, non-exchangeable, and non-returnable. When in doubt order the next size up! 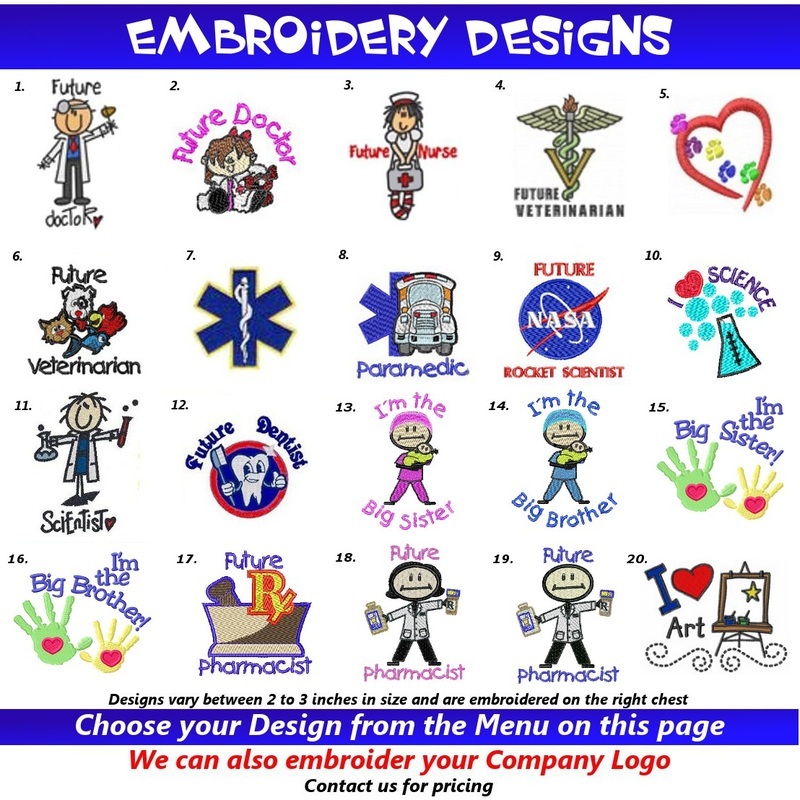 Need your embroidered item shipped the next Business Day? Rush Embroidery is now available! Please remember Embroidered Items are non-returnable, when in doubt order the next size up. 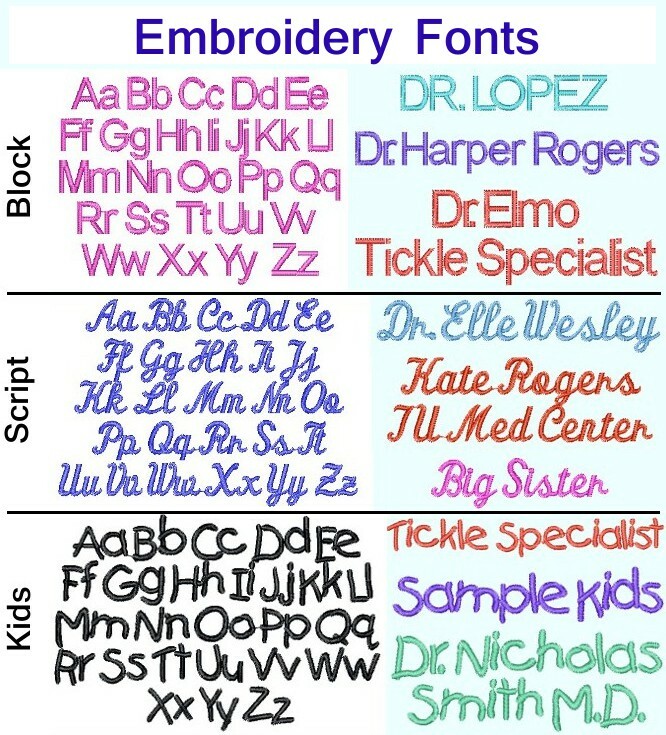 Orders that do not specify a Font or Stitch Color will be embroidered in Black Block for light color fabrics and White Block for darker color fabrics.